The scourge of motion smoothing on modern HD TV’s has found itself yet another high-profile foe, in the form of Tom Cruise. 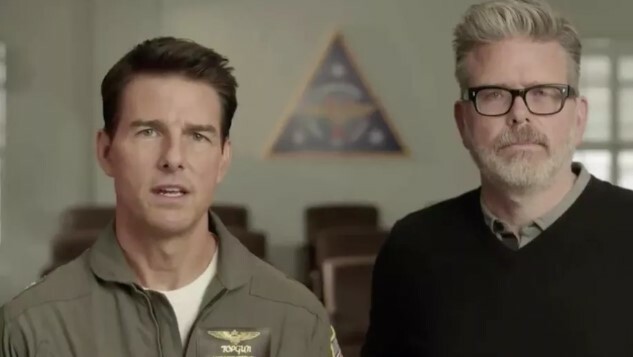 This morning, the actor appeared in a quickly viral PSA video via Twitter, flanked by Mission Impossible — Fallout director Chris McQuarrie—himself an outspoken critic of motion smoothing—to urge viewers to adjust the settings on their own TV’s. Watch the entire PSA immediately below. The main problem, according to Cruise and McQuarrie, is that oftentimes these settings aren’t at all obvious to adjust. The option to turn off motion smoothing is often not clearly labeled, or it’s buried many menus deep. The easiest way to figure things out is often to Google specific instructions for your own TV brand. Prominent critics of motion smoothing have included McQuarrie and other famed directors such as Rian Johnson, Christopher Nolan, Paul Thomas Anderson and Edgar Wright—all creators who are known for their visually dynamic films. It stands to reason that these guys are the most touchy about their work being “soap opera’d” to unsuspecting viewers watching them from the comfort of their couches. Nolan and Anderson even sent a letter to television manufacturers, via the DGA, asking for changes in TV manufacture that either disable motion smoothing by default or make it easier for the average consumer to do so. Here’s hoping that Cruise, McQuarrie and everyone else is able to make some progress by bringing attention to the issue. In the meantime, this might be the time to check out your TV settings.